Shraddha Kapoor is back on the big screen with Haseena Parker. Shraddha is a big foodie at heart and loves chocolates and cakes. Actress Shraddha Kapoor is back on the big screen with her latest flick Haseena and fans can't stop admiring her dark and gritty look for the crime thriller directed by Apoorva Lakhia. Based on the life of Haseena Parker, Dawood Ibrahim's sister, the film also stars her brother and actor Siddhanth Kapoor who would be seen essaying the role of Dawood Ibrahim. The first look was praised by many actors in Bollywood including megastar Amitabh Bachhan who took to social media for praising the poster of the film, which had Shraddha Kapoor staring into the camera with her intense kohl-rimmed eyes. The actress has earned her place in the industry as the chirpy and vivacious girl-next door. She has revealed in several interviews that Haseena Parker is the toughest role that she has essayed so far in her career spanning 7 years. 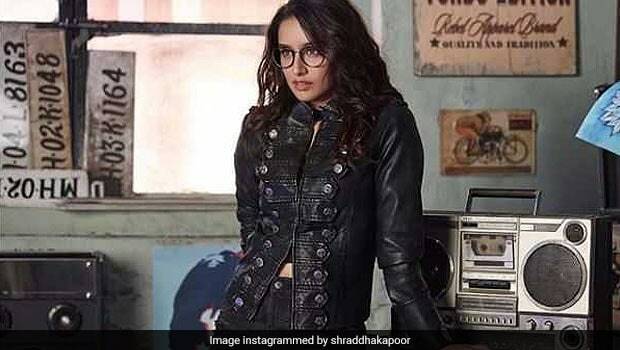 For her part as the middle aged- mafia queen, Shraddha had put on almost nine kilos, and is now in the process of losing the extra weight, the effect of which we can see in her recent appearances. Shraddha is making headlines with each appearance in her slim and toned avatar. The vivacious actor indulged in sports from a very young age. As a teenager, she was an avid basketball and volleyball player. Shraddha is also a lover of adventure sports like rock climbing and scuba diving, a glimpse of which we got to see in her movie 'ek Villian' . The actress likes to hit the gym in the morning. She also took to pilates as part of her fitness routine few years ago. But did you know that Sharddha is also a foodie at heart and loves her share of chocolates and cake? Here's how the actress manages to strike a perfect balance. Shraddha who would be essaying the role of Olympic medallist Saina Nehwala in her next movie was seen enjoying a delicious lunch at the Badminton player's residence. She wrote, "Today at @nehwalsaina 's home. Being pampered by aunty. She made delicious poori,choley,kheer,halwa & a fruit/milk juice. Not just food she is also taking some expert tips to master her role as the ace badminton player from Saina Nehwal herself. That's her enjoying a delicious and sinful scoop of chocolate ice-cream. That delicious breakfast and tall glass of fresh pineapple juice by the beach is making us jealous. Here's wishing Shraddha Kapoor all the best for Haseena Parker.